WD Elements 3TB USB 2.0 External Hard Drive For Just $89.99. WD Elements 3TB USB 2.0 External Hard Drive WDBAAU0030HBK. So buy this Refurbished WD Elements 3TB USB 2.0 External Hard Drive Now $89.99. Get $10.00 OFF Code: AFNJ2499 + Free Shipping at Newegg.com. ThinkCentre Core 2 Duo Desktop PC Windows 7 Now $124.99. ThinkCentre Core 2 Duo 2GB 80GB HDD Capacity Desktop PC Windows 7 Home Premium M55E. Buy this Refurbished ThinkCentre Core 2 Duo 2GB 80GB HDD Desktop PC Windows 7 Now Only $124.99. Get $10.00 OFF Code: AFNJ2497 + Free Shipping at Newegg.com. Motorola Symbol Barcode Scanner For Just $118.99. The Symbol USB barcode scanner is an economical replacement or addition for your POS system or shipping department. The long cable lets you place the scanner wherever you need it, while the included IntelliStand holds it at the best angle for hands-free scanning. So buy this Motorola Symbol LS2208-SR20007R-NA Barcode Scanner For Just $118.99. With $10.00 Off Code: AFNJ2504 + Free Shipping at Newegg.com. LaCie Rugged Thunderbolt Series 1TB USB 3.0 External Hard Drive For $184.99. Deadlines rule our world. When digital storage is critical for your project, it had better be as fast and reliable as you are. From the desktop to the badlands, it has to connect to any computer, deliver more than enough speed for the most demanding applications, and protect data against any threat. Enter the LaCie Rugged USB 3.0 Thunderbolt Series. So buy this LaCie Rugged Thunderbolt Series 1TB USB 3.0 / Thunderbolt External Hard Drive 9000294 For $184.99. With $15.00 OFF Code: AFNJ2498 + Free Shipping at Newegg.com. KitchenAid Professional 600 6 Quart Stand Mixer Red Now $399.95. KitchenAid KP26M1XER Professional 600 6 Quart Stand Mixer Red. Bowl-Lift Design. 6-Quart Polished Stainless Steel Wide-Mouth Bowl with Contoured Handle. Soft Start Mixing Feature. Direct Drive Transmission, All-Steel Gears, and All-Metal Construction. Get this KitchenAid KP26M1XER Professional 600 6 Quart Stand Mixer Red For Now $399.95. With $50.00 Off code AFNJ2502 + Free Shipping at Newegg.com. Get 93$ Off Lenovo IdeaPad 7" Tablet Android 4.0 Now $106.99. Lenovo IdeaPad ARM Cortex-A9 512MB Memory 8GB Flash 7" Touchscreen Tablet Android 4.0 (Ice Cream Sandwich) A2107 (59RF0079). So buy this Tablet and Get $93.00 Off Refurbished Lenovo IdeaPad ARM Cortex-A9 512MB Memory 8GB Flash 7" Tablet Android 4.0 - $106.99 + Free Shipping at Newegg.com. Save 290$ Off HP Core 2 Duo E8400 Desktop PC Now $189.99. HP Core 2 Duo E8400 3.0GHz 2GB 160GB HDD Capacity Desktop PC Windows 7 Professional DC7900. And buy this Desktop you can Save $290.00 Off Refurbished HP Core 2 Duo E8400 3.0GHz 2GB 160GB HDD Desktop PC Windows 7 - $189.99 + Free Shipping at Newegg.com. Get 15$ Off MSI N650 GeForce 1GB PCI Express Video Card For $79.99. A great blend of performance, quality and value, the MSI GeForce GTX 650 VGA card offers the perfect entry point to DirectX 11 gaming for budget-conscious users. Based on the industry-leading 28nm Kepler architecture, the MSI GeForce GTX 650 card delivers exhilarating graphics power with power SMX shaders and abundant amount of memory. You can feel the performance punch in the latest gaming and demanding application. A host of NVIDIA GTX features such as NVIDIA Adaptive Vertical Sync, NVIDIA Surround, TXAA AntiAliasing, NVIDIA PhysX offers you more than one way to elevate your gaming experience. Besides performance, all solid capacitors and exceptional cooling with Propeller Blade technology guarantee superior reliability and stability for you to game hard in demanding conditions. So buy this video card and Save $15.00 Off MSI N650-1GD5/OC GeForce GTX 650 1GB 128-bit GDDR5 PCI Express 3.0 x16 Video Card Now $79.99 After $20 MIR + Free Shipping at Newegg.com. Save 110$ Off HP NC8430 Intel Core 2 Duo 15.4" Notebook Now $219.99. HP NC8430 Intel Core 2 Duo 2.00GHz 2GB Memory 80GB HDD 15.4" Notebook Windows 7 Home Premium. So buy this and you can Get $110.00 Off Refurbished HP NC8430 Intel Core 2 Duo 2.00GHz 2GB Memory 80GB HDD 15.4" Notebook Windows 7 - $219.99 + Free Shipping at Newegg.com. Save 10$ Off Radeon HD 7750 Core Edition 1GB PCI Express Video Card For $99.99. The XFX Radeon HD 7750 Core Edition graphics card (FX-775A-ZNP4) brings 28nm GPU advancements to the mass market. It ships with XFX’s unique standard GPU core running at 800 MHz which is the benchmark core clock. Packed with incredible features, such as PCI Express 3.0, the ultra-efficient AMD ZeroCore Power technology or gaming at resolutions beyond 5760x1080 with AMD Eyefinity technology, it is the world’s most advanced graphics for everyone. So buy this product and Save $10.00 Off XFX FX-775A-ZNP4 Radeon HD 7750 Core Edition 1GB 128-bit GDDR5 PCI Express 3.0 x16 Video Card - $99.99 + Free Shipping at Newegg.com. Save 37$ Off HDMI to HDMI + SPDIF + RCA L / R Audio Extractor / Converter Now $32.99. The HDMI to HDMI converter allows the HD Source connected to single HD Display and adds extra one L+R and SPDIF audio out port. Our devices offer solutions for noise, space and security concerns, data center control, information distribution, conference room presentation, school and corporate training environments. This devices can extract the digital 2CH PCM stereo audio signal from the HDMI input and convert it to 2CH analog stereo output through its RCA style L/R analog output AND SPDIF output at the same time. The SPDIF output can support 5.1CH audio including Dolby Digitla 5.1CH and DTS 5.1CH; it does NOT support Dolby Digital Plus and PCM 5.1CH and beyond. Buy this product and Get $37 Off HDMI to HDMI + SPDIF + RCA L / R Audio Extractor / Converter - $32.99 + Free Shipping at Newegg.com. Save 40$ Off Black & Decker Cordless Lithium-Ion Drill Drive For $19.99. Black & Decker LDX172R 7.2V Cordless Lithium-Ion 3/8" Drill Driver. Fan cooled motor extends drill life for years of reliable service. Keyless chuck provides quick and easy bit changes. Mid-handle design offers better balance and control. Lithium-Ion battery holds a charge up to 18 months between uses, allowing this drill to hold a charge up to 5 times longer. No loose batteries, just plug in and charge. So buy this product and Get $40 Off Refurbished Black & Decker LDX172R 7.2V Cordless Lithium-Ion 3/8" Drill Drive - $19.99 + Free Shipping at Newegg.com. 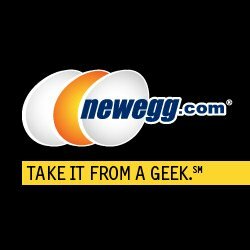 Newegg Inc. is a leading e-retailer committed to becoming the most loved and trusted marketplace on the web by offering superior shopping experience, rapid delivery, and stellar customer service. At Newegg, we believe true service starts after the product you ordered arrives at your doorstep.